As summer is nearing the end, I am finally getting back to my blog after a bit of a hiatus from my son's birth. Just a few weeks after Shea was born I was back work. And it all started in one of my favorite parks in the city: Palmer Square Park. I love this park for a few reasons, it's very whimsical filled with trees and green grass, the charming animals sculptures for little ones to play and it's kind of a hidden quiet gem within the busy urban surroundings of Logan Square. When Beth first contacted me I was kind of laughing inside because her husband's name is also Brad! And of course we share the same name too. 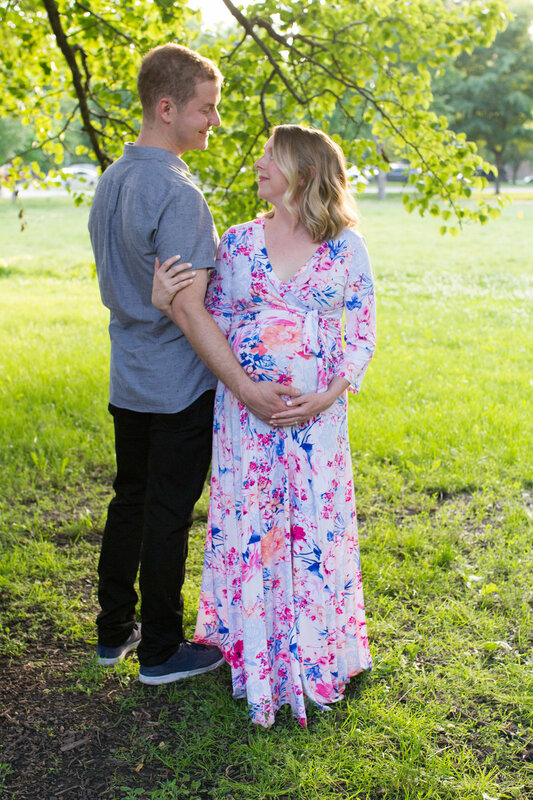 So when we met for their Maternity Session, we realized we had a few other things in common. I remember asking her if they had any names picked out she mentioned that they were thinking about an Irish names as well. 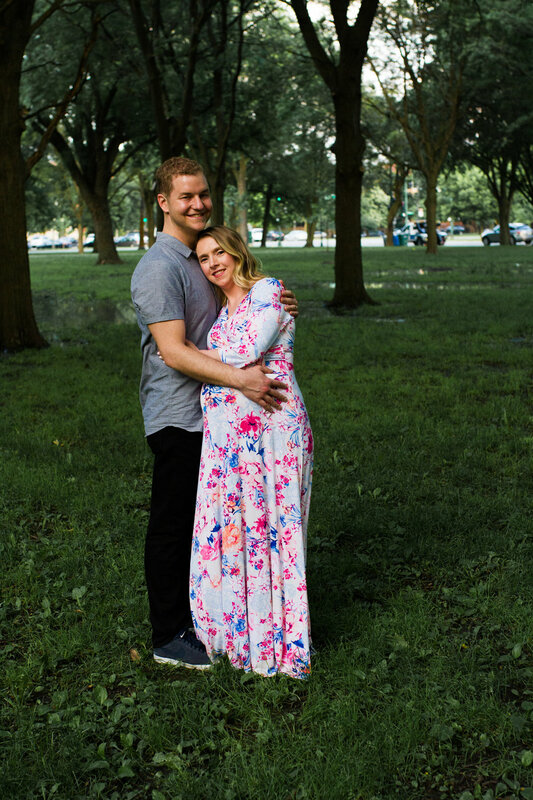 One of my favorite things about being a Lifestyle Photographer is seeing the excitement in the eyes of my couples that are expecting their first baby. Brad and Beth were adorable!